Unfortunately, much of the press coverage and public discussion of the tracks’ closings didn’t paint it as positive progress for the greyhounds. You may have read some of the headlines, or the threads on greyhound discussion forums, referring to the ‘glut’ of dogs displaced by track closings… and dire predictions of a so-called ‘greyhound tsunami’. A fraudulent e-mail was widely circulated, stating 900 greyhounds at Dairyland were going to be euthanized when the track closed, if they weren’t found homes immediately! It is rare that the racing community and the greyhound advocates working to end racing agree on something, but that e-mail was met by a chorus of groans from members of both camps. The last thing that people on either side of the issue wanted to see was panic-driven misinformation. One well-known member of the adoption community has repeatedly stated concerns about the track closings to the media, saying the number of dogs becoming available for adoption exceeds the number of adoptive homes. My response is, since when is that a new problem? Though opinions differ on the number of racing greyhounds euthanized every year, everyone agrees that it is happening. The latest statements by the National Greyhound Association, key players of GPA National, and on the American Greyhound Council’s website are the same – that 90 percent of all registered greyhounds are adopted or ‘returned to the farm’. While I have serious doubts that figure is anywhere near accurate, it still begs the question: what about the rest? The AGC states that ‘the goal is to achieve 100 percent placement’. But the realities of dog racing prevent that from ever being possible. Racing injury records released by GREY2K USA have proven that dogs die while racing. Broken necks, crushed skulls, electrocution and cardiac arrest are some of the fatalities those records have revealed. Those records have also proven that dogs with perfectly fixable injuries, like broken legs, are euthanized. Next, the process known as ‘grading off’ is an intrinsic part of the racing business. As faster dogs at ‘higher end’ tracks slow down, they are graded off and sent to ‘lower end’ tracks. When they arrive, they displace the slower dogs at that track. Tracks like Tucson Greyhound Park are the end of the line – many of the dogs that go there, go there to die. The conditions of both the track surfaces and the kennel facilities at lower end tracks are worse, the chance of injuries increases, and the rapid turnover of dogs exceeds the abilities and resources of nearby adoption programs to take them all in. Additionally, the income earned by the kennel operators, trainers and kennel staff is lower, as the amount of money paid in winnings is less. The investment in the maintenance and medical care of the dogs directly reflects that – treatable injuries and illnesses are much more likely to be a death sentence at tracks like these. Finally, there have always been seasonal tracks, such as Ebro, Melbourne and (until Question 3 took effect) Wonderland Greyhound Parks. These tracks close for several months out of the year, and these seasonal closings generate a sudden, albeit expected, surplus of dogs. That surplus puts dogs at risk at both the track that is closing for the season, as well as at other tracks that are open year-round. Racing fatalities, the euthanasia of injured dogs, and the constant displacement caused by grading off and seasonal track closings are inherent to the business. There will never be a day that the lives of racing greyhounds aren’t cut short in the name of money. So, while the number of dogs entering the adoption system increases in the wake of a track’s final closing, that increase is temporary. The immediate problem is real, but it is one that is expected and can be prepared for in advance. The benefits of a track’s closing, however, are permanent and far-reaching. Greyhounds will no longer be injured and killed in Phoenix, Kenosha, and Raynham. Thousands of dogs will no longer live confined for twenty or more hours per day in small cages inside warehouse-style kennels there. The numbers of greyhounds bred every year for racing has decreased steadily through the years. The number of dogs retiring from racing also continues to decline, slowly easing the burden on overloaded adoption groups across the country. Already, adoption groups in the Northeast and Midwest are looking forward to the ability to take dogs from the South and the West, where the highest concentration of racetracks exists. Until greyhound racing is phased out in every state, the work of adoption groups will remain vital. 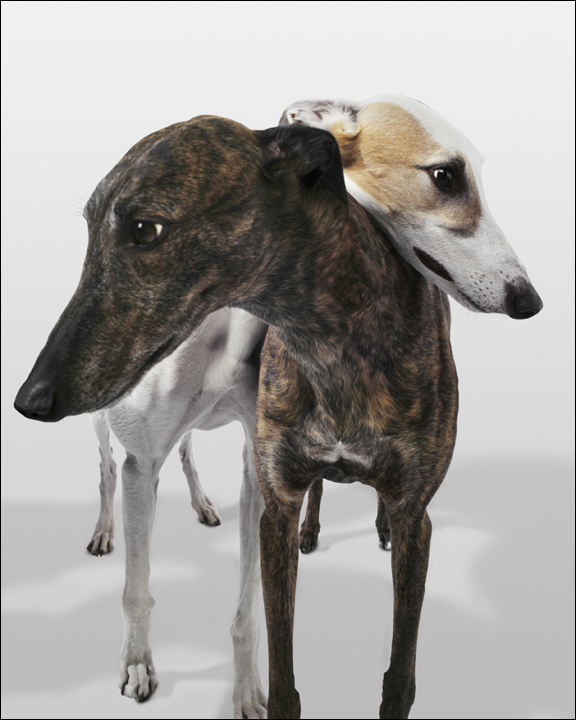 GREY2K USA offers adoption referral information on its website to help the thousands of dogs still racing. The Greyhound Central Clearinghouse is a website created to connect adoption groups with those who can help transport greyhounds from tracks and kennels, and those who wish to give deserving ex-racers their Forever Homes. As of the 1st of this year, there are twenty-three operational tracks remaining in just eight states – Arizona, Texas, Iowa, West Virginia, Rhode Island, Arkansas, Alabama and Florida. Twenty-four tracks have closed since the formation of GREY2K USA in 2001. The market demand for dog racing continues to decline, and greyhound advocates will continue to work to help put this cruel industry out of business. The end of dog racing will mean that future generations of greyhounds won’t have to bear the suffering of so many in the past. For me, every time a dog track closes, the light at the end of the tunnel burns a little brighter.